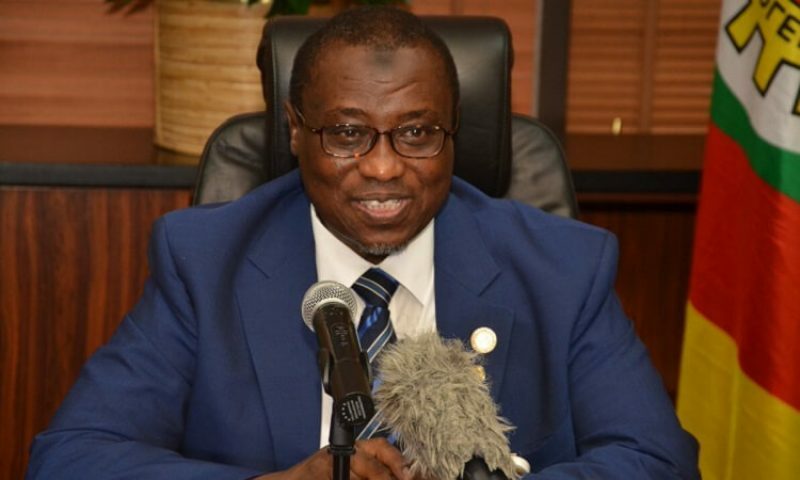 The Group Managing Director of the Nigerian National Petroleum Corporation (NNPC), Dr Maikanti Baru says it will prove to Nigerians that the Corporation is the most transparent organisation in Nigeria. Baru said this at a stakeholders’ workshop on validation by the Nigeria Extractive Industries Transparency Initiative (NEITI) in Abuja on Wednesday. Represented at the event by the Group General Manager, Crude Oil Marketing Division of the NNPC, Mr Mele Kyari, Baru noted that things had taken a turn for the better in the corporation under his purview. According to Baru, efforts are presently on to disabuse the mindset of Nigerians that wrong things are happening in the corporation. “We have never had it so good in this country since the last two years. “I mean in terms of transparency of our transactions, validation of our activities, the unfettered, unobstructed participation of the secretary to the government, who has never asked us to do anything different. “Today, we need to get people out of the mindset that something wrong is happening in the NNPC. Nothing wrong is happening. “We have passed that stage. We are now probably one of the most transparent companies in this country. Baru assured the team from the Extractive Industries Transparency Initiative (EITI), the World transparency governing body, that all was well within the corporation. He said the corporation was working in alignment with EITI objectives and opportunities. “Most particularly, I am sure our colleagues in the NGOs would recognise today, that things are just different and together all of us will make our country greater and I believe this is the core objective of the EITI. “I am assuring the EITI Board and all stakeholders that things are different,’’ he reiterated. In his presentation entitled: “Deepening EITI Implementation in Nigeria’’, Kyari said since May 2015, steps the NNPC took to ensure transparency include the elimination of dual pricing for domestic crude allocation and the automation of its transactions. “We have re-enforced auditing of our operations including third party and the direct sale of crude oil to refineries, reputable traders, upstream companies and Nigerian entities,’’ Kyari said. Also speaking, Mr Pablo Valverde, Regional Director of the EITI, who spoke on “Making EITI validation useful’’ said from July 11, Nigeria would be assessed based on progress with the corrective actions stipulated in the second validation exercise. He explained that the upcoming validation exercise was not a test or examination the country had to contend with, but one way of keeping the EITI family together by providing a consistent way of assessing progress against very specific requirements. He said the validation exercise was meant to help countries that sought to improve the operations of the extractive sector, hence the validation programme was not ‘pass or fail’ test, but a `progress’ test. “NEITI is a government agency with a broad mandate under the NEITI act that goes beyond the EITI Standard. It is up to Nigerians to decide how well they are doing their work,’’ Valverde said. Participants at the workshop include members of parliament, Civil Society Organisations (CSOs) and representatives of extractive companies.